is proud to serve the Toledo OH area for everything pet related. Our veterinary clinic and animal hospital is run by Dr. Alan G. Moore, who is a licensed, experienced Toledo veterinarian. Our team is committed to educating our clients in how to keep your pets healthy year round, with good nutrition and exercise. Trilby Animal Hospital stays on top of the latest advances in veterinarian technology and above all, remembers that all animals and pets need to be treated with loving care in every check-up, procedure, or surgery. My interest in veterinary medicine began in high school, where I was able to work with and observe local veterinarians as they administered to both domestic and farm animals. Once I had attended several veterinary career days at The Ohio State University, I knew that this was the profession I wanted to follow. Through my experiences working in veterinary hospitals in Columbus, Akron, Chicago and Toledo, I've been fortunate enough to assimilate many other practitioners' ideas and techniques. The contributions of these other professionals has helped me to formulate my personal practice philosophy. My goal is to pursue each medical and surgical diagnostic challenges as aggressively as possible to seek the most positive resolution for each patient and client. 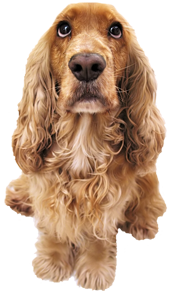 To accomplish this, our staff and I will strive to fully inform each of our clients about the nature of their pet's condition so as to help them comfortably make the appropriate treatment decisions. Please always feel that any question you have of us is worth asking. We will do our best to be open and thorough in communicating with you about your pet.